Being involved in any type of accident is frightening, but truck accidents are particularly devastating. More often than not, truck accidents result in serious injuries, hospitalization, and in some cases, even death. If you or someone you love are in a truck accident, it’s important that you take action immediately to secure your right to financial compensation. By law, trucking companies are required to keep logs of the number of hours a driver spends operating his or her truck, as well as information on all safety inspections that are performed. These logs can be critical to a truck accident case in order to prove that the driver was fatigued or the truck was not properly maintained. However, trucking companies can legally dispose of these logs for a certain period of time after the accident occurs. 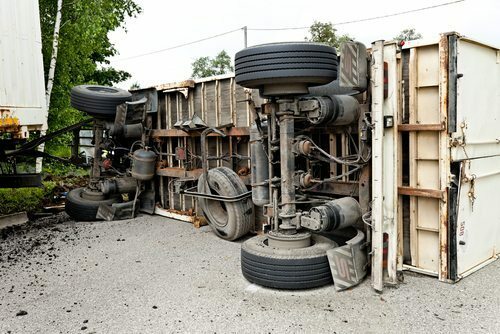 Proving that a driver was fatigued or that a truck was unsafe becomes exponentially more difficult without these records, and trucking companies will work very hard to dispose of the records as soon as possible after an accident. By securing the representation of an experienced Dalton truck accident attorney, you may be able to prevent the trucking company from trashing critical records. If there was anyone who witnessed the accident, it is imperative that you get their contact information, including their address and telephone number. Often, truck drivers and even the companies they work for will change their story of what happened in order to avoid penalty. By securing witness statements as quickly as possible, you can make sure that the story of what happened stays consistent throughout your case. Your medical records are crucial to your truck accident case. How much you are awarded in damages depends largely on what injuries you have sustained, so be sure to get copies of all test results and doctors’ notes for your files. Some injuries caused by truck accidents take time to manifest, and you may not be aware of all your injuries right after the accident. Linking injuries that show up later to the accident can be challenging without the proper documentation. There is a statute of limitations on truck accident claims, meaning that if you fail to file a claim before the statute is up, you won’t be able to file one at any point. Taking action immediately after a truck accident is the single most important thing you can do to protect your right to compensation for the damages you’ve incurred. Contact the skilled Dalton truck accident attorneys at Appalachian Injury Law for a consultation today by calling (706) 515-1995 or toll free at (800) 393-8595.